Spend a weekend, stay the night and dedicate 48 hours to exploring Childers. Childers is a quaint little town nestled on the Bruce highway and the accommodation is cute and quirky to match. Whether your looking for an eco-friendly adventure, to sip local wine by a fire in your own cottage on the hills, or brave the dark at a haunted hotel, you can do it all in Childers. Try: Wake up to stunning sunrises over the hills at Mango Hill Cottages. Go green at Childers Eco Lodge and enjoy a guilt-free holiday with all the modern amenities you could ask for. Not scared of the dark? Spend the night at the haunted Grand Hotel, who are proud of their local ghosts. Flip through old newspapers and photos from the late 1800s and the Childers streetscape won't have changed much, well there's less horse-drawn carts on the street and they have a Subway now, but the town remains a blast from the past. Spend some time strolling the streets, learning the history and exploring the past. Try: Childers Art Space shows off the best art the region has to offer along with some exquisite exhibitions from afar. Check out the Old Pharmacy Museum and look back at how we got over the common cold, pre-modern medicine. Make a much-needed visit to Paragon Theatre, a restored 1800s movie theatre. The Bundaberg North Burnett is rich with abundant produce and delicious food, and Childers is no exception. On your way from Childers to Bundaberg cast your eye on the vast variety of rich red soil farm land laden with a variety of crops. Enjoy breakfast, lunch and dinner in Childers featuring this fresh produce. Try: Have lunch at The Grand Hotel and ask the bar tender about the ghosts that reside there. Enjoy a locally-made Mammino's Gourmet Ice-Cream to beat that summer heat, and pick-up on iconic local flavours like ginger and macadamia. When in Childers everything happens for a Riesling... I mean reason. Childers is full of local wineries eager to put their heritage and personal stamp into every bottle of bubbly, red, white and cider. Why not spend some time discovering the drinks scene and buy some gifts for your friends and family back home? Try: Here the adventurous story of Terry's Sicilian grandparents at Hill of Promise Winery and enjoy the breathtaking views, and old-school wine-making techniques. Try something totally new that you can't get at the local bottle-o at Ohana Winery and Exotic Fruits Farm. We recommend the award-winning Lychee wine or try their refreshing ciders! Want to try out all the wineries? 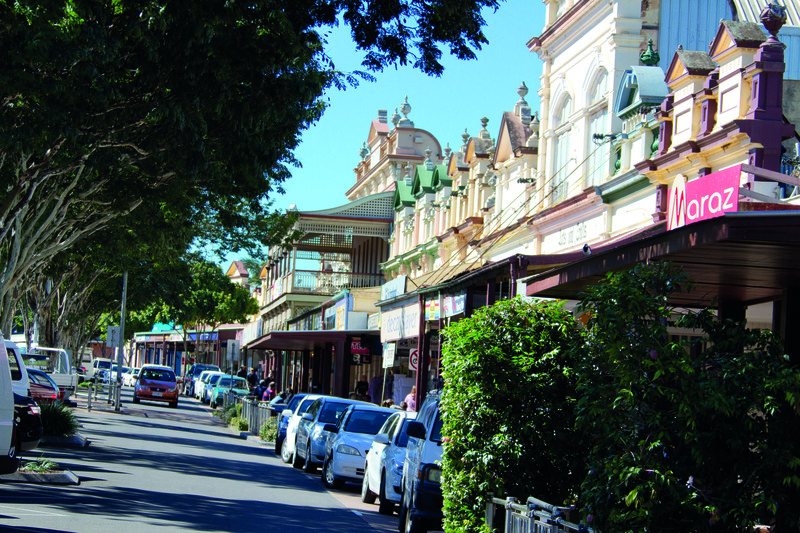 Take an Off-the-Wagon tour and enjoy a day out with included morning tea and lunch, and pick-up from Bundaberg.